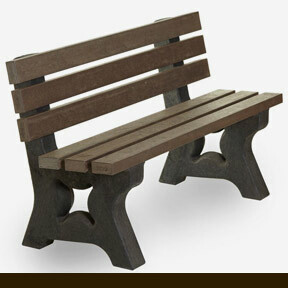 Plastic wood benches give you practical benefits whilst also aiding the environment. Our manufacturing process involves saving plastic waste from landfills, turning it into amazing products that are far more useful than their typical alternatives. Many different businesses use our environmentally friendly products due to their many benefits. Often our recycled plastic garden benches used in the form of garden or picnic environments for schools, parks and local authorities. There will be no wood chips or imperfections, so there will be no tears for little ones – guaranteed! 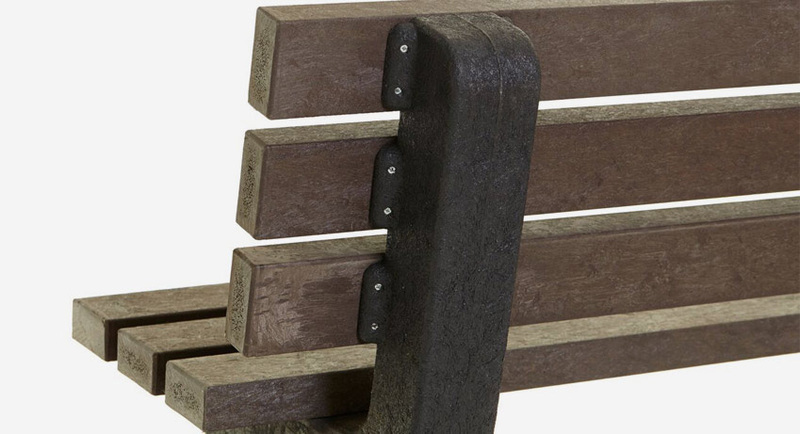 They’re extremely durable and feature many unique features such as weather and graffiti proofing, as well as no maintenance and they also last far longer than typical timber ones. Being outside, a picnic bench in a school will suffer a lot of wear and tear but thanks to our innovative design, we have solutions to the all the problems typically encountered by benches. Regular ones will rot, need annual staining and treating, and will suffer from chips or other imperfections. 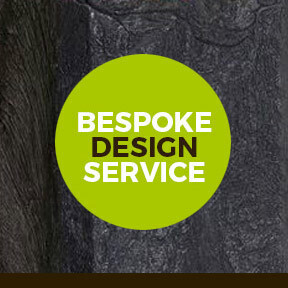 Ours suffer none of these problems and will last far beyond what is possible for a typical timber bench. Security features can be implemented such as having extended legs for concreting into the ground and can be supplied with a fixing kit, making sure your quality product can meet any challenge that is thrown at it. 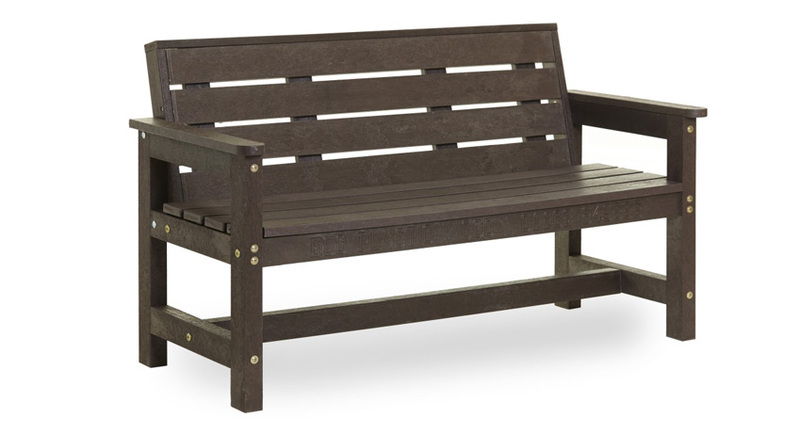 Standard woodworking equipment can be used on our recycled benches, and they do not need maintenance. This makes them very cost effective. 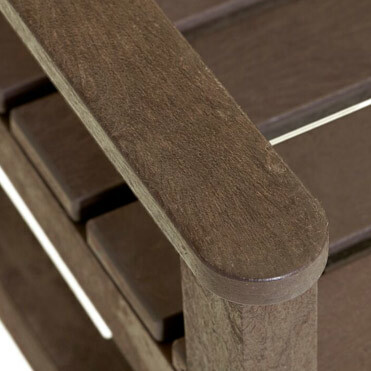 It's a beautiful product and they'll keep their brand-new visual appeal due to their durability and low maintenance requirements. This ensures you can enjoy your premium product year round, saving time and costs from cleaning or treating it. They will not splinter, so they are perfect for school playgrounds or any environment around children. 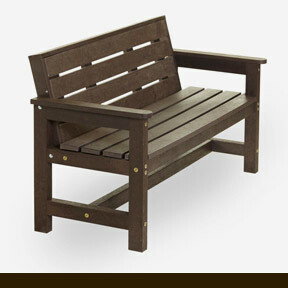 Our recycled plastic garden benches can even be recycled after they have reached the end of their long lifespan. The benefits are endless for our benches. 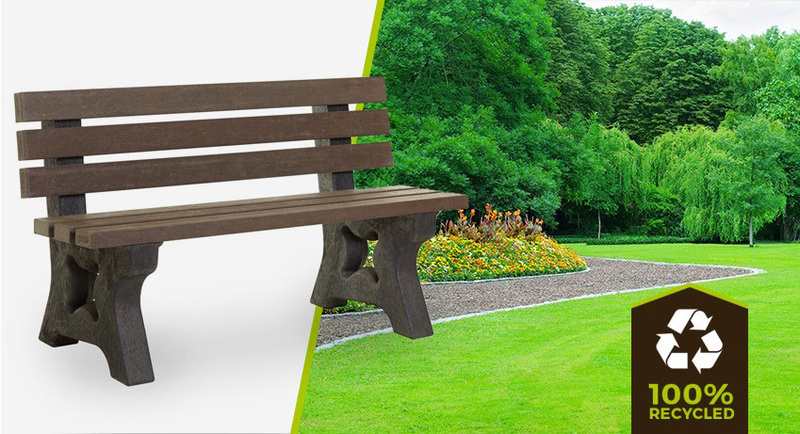 Our plastic garden benches are already situated in many different businesses, and they are able to easily meet the needs of even the most demanding of environments. 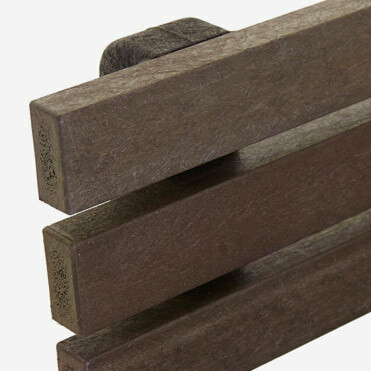 They're ideal for any public or private location and are a high quality alternative to typical timber that will always stand the test of time. Your unique product will easily meet any demands. We can install extended legs into the ground using concrete and can also supply a fixing kit if need be for your peace of mind. 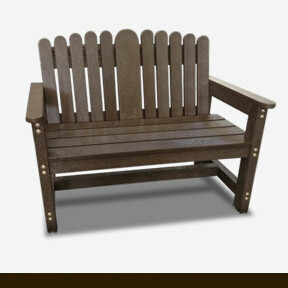 We can handle any specific ideas you may have for your plastic garden bench and are experienced at doing so. The only limit is your creativity. 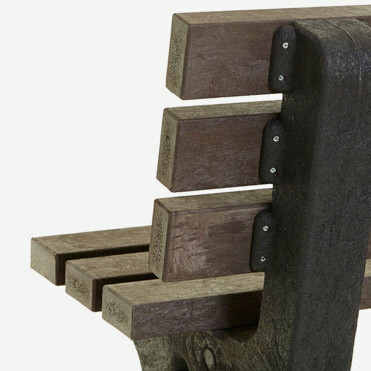 You’ve probably seen our unique benches before, they’re often used due to the endless list of benefits. Their clean design has made them popular in numerous different places. 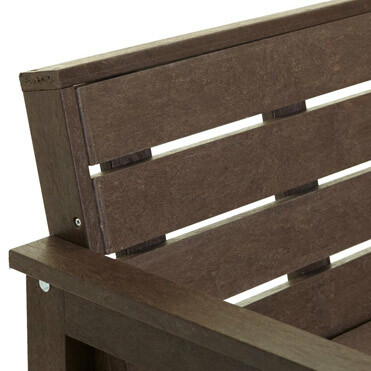 There’s nothing to worry about with our plastic garden benches, say goodbye to tears thanks to our unique material. Safety is paramount at Eco Plastic Wood.